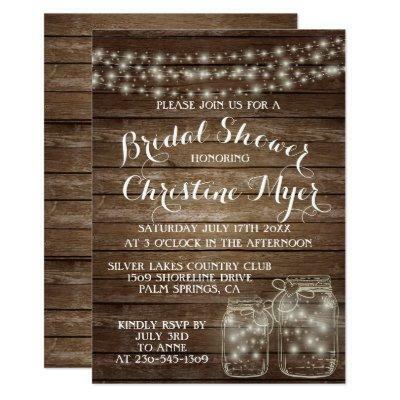 Rustic Wood, Lights, and Mason Jars Bridal Shower Invitations. Rustic country wood background with string lights and mason jar accents. Text can be customized using the template boxes.